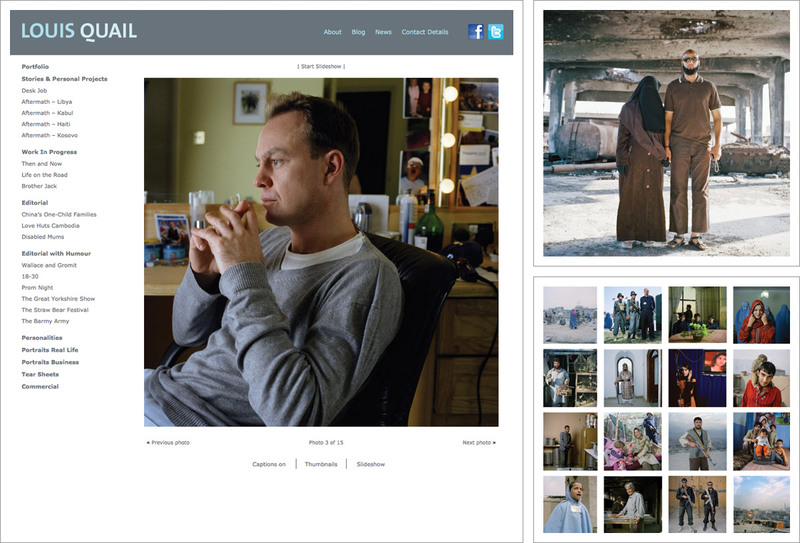 Louis is a documentary and editorial photographer with many years experience working for a raft of top magazines. Built using WordPress, this allows Louis to make updates to the website himself independently. Design and navigation for this project is very clean, simple and intuitive allowing Louis Quail’s stunning photography to be the focal point. A horizontal navigation provides access to ancilliary pages such as About, News, Blog, Contact Details and displays social media icons whilst the vertical menu lays out the various portfolios where there are several ways in which to view Louis’ work.